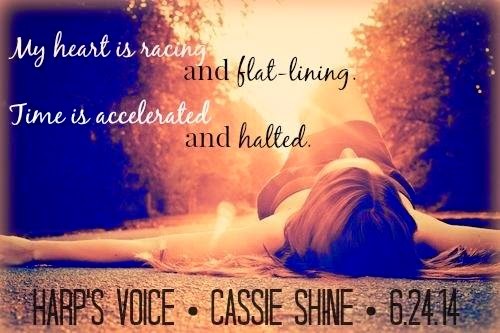 Harp’s Voice by Cassie Shine is a touching and emotional story. This is book two in the series so what has caused Harp’s emotional battle has come to light already in Harp’s Song. She is a child of abuse and her mother and her have started the healing process. Harp’s Voice focuses on that process and it is interesting to read how that goes. Nobody is magically healed and I loved how the book puts emphasizes on different things, like counseling. Even if it means making a late night call to one in order to work through some issues. It was good to see that it wasn’t one counseling session and they are off into the sunset. I also liked the characters and their interactions with one another. It’s not just Harp’s relationship with her mother that needs improvement but also how Harp deals with her other relationships. Her abuse has shaped so many different things in her life. I like how the characters help her realize things she needs to let go. Of course Connor is also a steady and stable support for her too. There are also new characters that are very important to Harp and her mother’s life and it’s something that they have to navigate both separately and together. The book moves fast and I realize that’s because there is a lot of dialogue. That is mostly how the book is written. Which for some books that works and some it doesn’t. For this Harp’s Voice it did. Especially when we are in the counseling sessions. I liked seeing the exchange between Harp her counselor and then sometimes her mom in the mix. It makes you feel more connected to the characters. So it’s kind of funny when you are reading a book and you see your city pop up. I live in a suburb of Chicago but it’s not usually one you see in books so it made me laugh. Overall I really liked this story and enjoyed Harp’s Voice. I thought that the way everything was dealt with is done well. It was so great to see Harp’s healing process instead of just leaving off when it starts. Oh brother … well, I wrote Harp’s Voice in June 2013 and sat on it for a while. 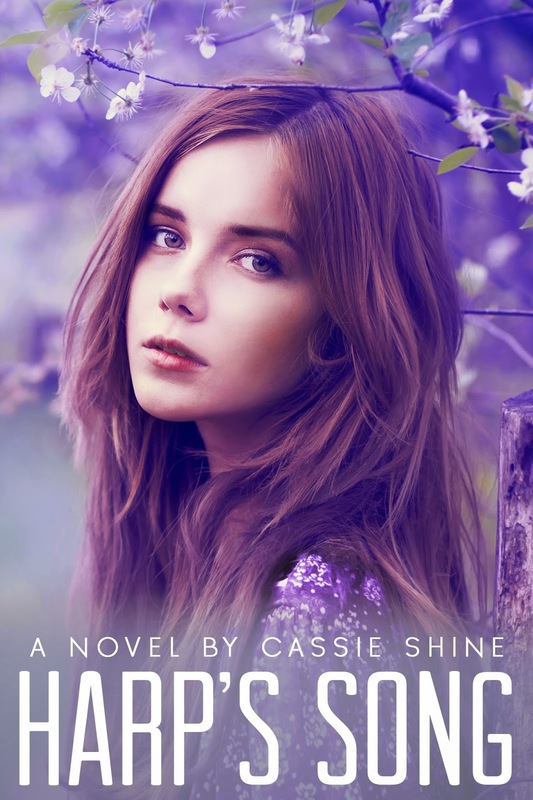 When I was ready, I sent it to my editor and beta readers, but before they even got their notes back to me I had opened it and started rewriting. When I did get their notes, it only confirmed what I thought-that my first draft wasn’t good enough. I spent a week of 14-hour days in my writing room re-writing Harp’s Voice-leaving only about 40% of the original plot in the current version. I start with an old school notebook and pencil-always a pencil! I have a notebook for each book so I can keep everything separate. I create my characters first-their names, what they look like and their personalities. After that, I type an outline and then use that as my guide for each chapter. I do sometimes deviate from the outline … ok, so I deviate a lot as the story flows, but the outline gives me purpose and focus. GAH … this is a hard question! I abandoned my musical roots about halfway through college and wish I hadn’t. I still listen to music all the time-I just don’t play anymore. So, I think my answer would be a musician. I do love music so much and how it can impact with you with the notes, melody, and lyrics. It’s so incredibly powerful and I love it. I mainly read on my Kindle but I also still love the feel and smell of a physical book. One lucky winner will receive a $25 Amazon gift card and signed copy of HARP’S VOICE (US only). Three winners will receive a $10 gift card to Amazon or Book Depository (international). 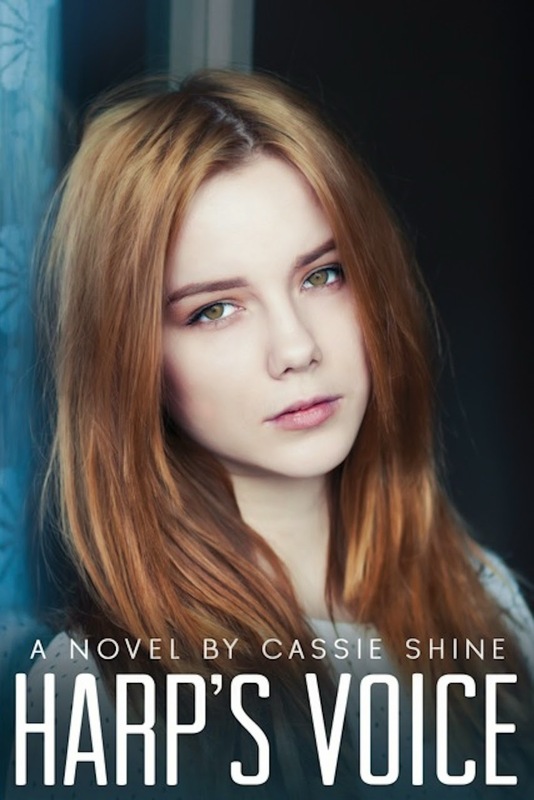 Jen, thanks so much for your lovely review, and for hosting Cassie Shine! So glad you were able to kick-off the tour for us! I haven't heard of this yet, and I need to check on the first book first. I haven't heard of this book yet, I am definitely adding it to my to be read shelf!